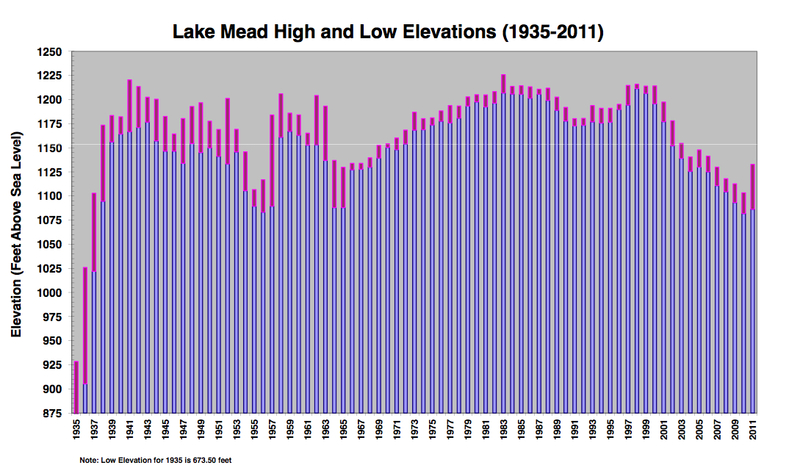 Lake Mead, the largest storage reservoir in the US, closed August 31st at midnight at 1,116.58 feet, or roughly 51% full, according to the federal Bureau of Reclamation. Meanwhile, the reservoir’s source, the Colorado River “system” (meaning combined storage and manipulated flow), was assessed as 58% full. While those figures go up in years with good northern snowpack, and down in years when it’s lousy, the general trend recently has been down. Whether you see the river as half empty or half full depends on a number of things, not least whether or not you rely on it and the seniority of your state’s claim. One obvious adaptation to deal with dwindling reserves would be to renegotiate the allocations that followed the Colorado Compact of 1922. While resistance from well endowed states such as California make it more likely that Occupy will be given a cabinet seat, in an opinion piece in the Salt Lake Tribune, the general manager of the Tarrant Regional Water District in Fort Worth, Texas, sees just about every major compact in the West under threat. Unless the Supreme Court agrees to review Tarrant Regional Water District v. Herrmann, James Oliver argues, compliance with 26 inter-state water-sharing compacts could become voluntary. If that happens, upstream states such as Colorado and Wyoming might rethink their generosity with the Southwest. 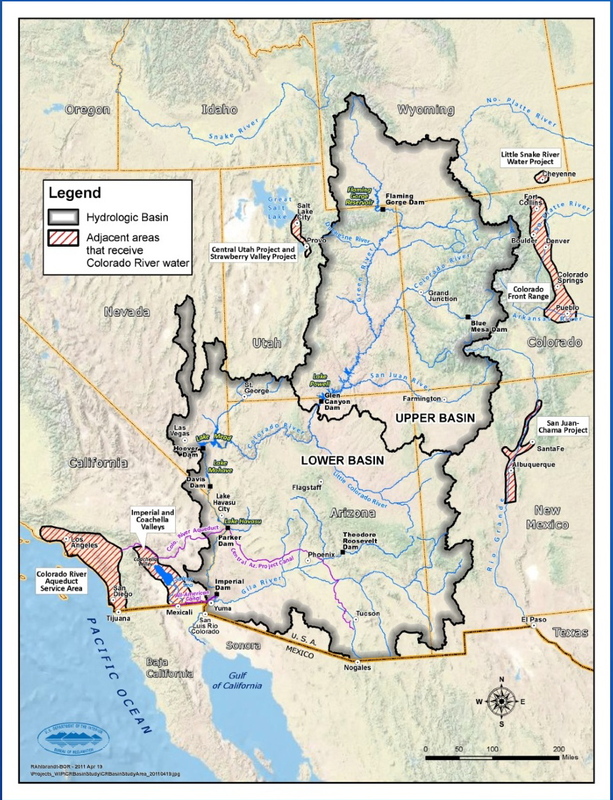 However, because the Colorado River’s major dams and reservoirs are managed by the federal Bureau of Reclamation, if any Colorado Compact states did decide to cut up rough, the action would no doubt be in courts and not on the river. But it’s an interesting case. Hat tip to Chris Austin at Aquafornia for highlighting it.